In continuation of our previous session on ASP.NET 4.0 – In Depth , We are going to take remaining part of the session on 10th October 2010. Rest of the topic we have already covered in our previous session. You can download the videos and presentation of previous session from here. Is Registration required ? Yes . Please register here http://bit.ly/d6aVYM . Note: Members who had already nominated for the first part of this session happened on 19-Sep-2010 need not re-nominate. One important announcement, I would like to congratulate my friend, a key community contributor on Silverlight, kunal chowdhury for becoming a Microsoft MVP – Silverlight . Please visit his blog at http://www.kunal-chowdhury.com and follow him at twitter @kunal2383 . Nice work Kunal !!! Again Congratulation. 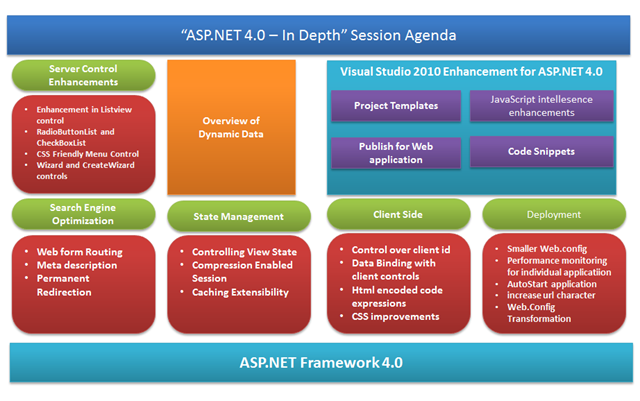 ASP.NET 4.0 introduces number of features that improve the core ASP.NET functionality and many changes that allow developers to have a strong controls over the application. These enhanced features makes ASP.NET 4.0 more effective for the web developer than the already existing versions of ASP.NET. ASP.NET Applications / Database deployment. If you want to check all previous Weekly Archive, Please read https://abhijitjana.net/blogbox/ Section. How to set automatically focus on ASP.NET controls when validation fails ? One of my favorite Visual Studio Shortcut- Very useful ! How to sort ASP.NET DropDownList based on DataValueField or DataTextField using LINQ? Here I have archived for last couple of weeks posts as I was out of station for last few weeks. 1. How to pass external values with GridView HyperLinkField which are not part of your Gridview DataSource member ? 2. How to hide Intellisense window in Visual Studio while coding or debugging to view the code? As per my earlier promise I am publishing the second weekly archive for my Blog. 2. How to pass multiple values using GridView HyperLinkField ? I have just started blogging at MSDN Blog. 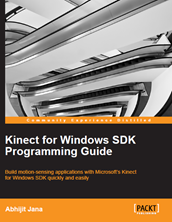 http://blogs.msdn.com/b/abhijit/ .